What do Iceland, Italy, Finland, and Greece have in common? Just some of the lowest rates of obesity, heart disease, depression, inflammatory diseases, and autoimmune diseases in the entire world.¹ Not to mention, some of the oldest and healthiest people on the planet. But what happens when you take those Icelanders, Italians, Finlandians, and Grecians and transplant them to the United States or Canada? Those health benefits — even if the same diet is maintained — begin to disappear. And while it’s true that most people in the United States are severely deficient in sulfur,² you don’t need to pack your bags for Europe quite yet. You can fix the problem without going anywhere. 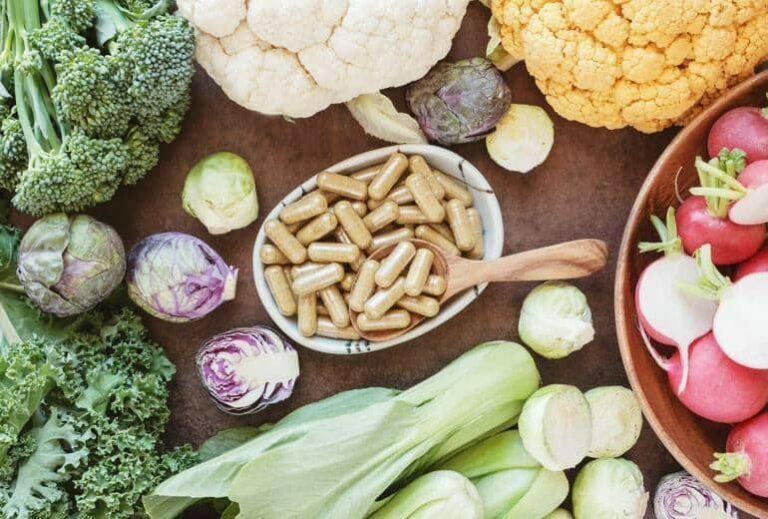 Keep reading to learn more about the incredible health benefits of sulfur, symptoms of sulfur deficiency, foods that are high in sulfur, and whether or not you should supplement with organic sulfur, or MSM (methylsulfonylmethane). What is Sulfur, and Why is it Important? Should You Supplement with Organic Sulfur? 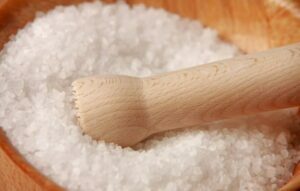 Sulfur is an essential mineral that our bodies require to function properly. Sulfur oxide is that stereotypical, smelly, yellowish chemical element that belches out of volcanoes and is often used in manufacturing as sulfur oxide to refine petroleum. Not only can your body not use it, but it’s toxic and even fatal in high doses. Organic sulfur, on the other hand, is white in color, completely odorless, and completely non-toxic. This naturally-occurring sulfur compound is used by all living things to transfer oxygen from the air you breathe and the water you drink, into your cells. It’s also critical to making glutathione, an antioxidant our bodies make to protect us from free radicals. The technical name for this organic compound is methylsulfonylmethane or MSM for short. So, where does organic sulfur or MSM come from? The short answer is, the foods we eat (like broccoli, arugula, and garlic). The human body can’t produce sulfur on its own, so our cellular health depends on consuming enough organic sulfur each day. Unfortunately, the longer answer is that crops in the US (and many countries abroad) have been sulfur deficient since 1954, thanks to mandated use of chemical pesticides in agriculture, in the United States. 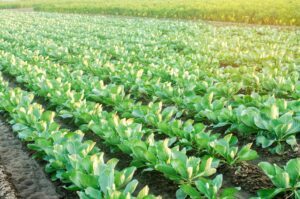 Pesticides, fertilizers, and massive crop yields strip the soil of minerals and make it more difficult for plants to draw sulfur out of the ground. The health benefits of organic sulfur/MSM are inextricably linked with the health benefits of getting enough oxygen. Not air, mind you. Oxygen. You might be breathing air just fine, but whether or not the 20% oxygen in that air (or the 90% oxygen in water, for that matter) makes its way to your cells is a totally separate matter. Organic sulfur grabs up oxygen from water and air, then ports it across your cell membranes so it can be used to produce energy and flush toxins. Unlike other vital minerals, your body can’t store organic sulfur. But guess what can? Plants (unless, of course, those plants have been treated with fertilizers and chemicals, more on that below). Our bodies use sulfur to produce glutathione, a powerful antioxidant that scavenges for free radicals (e.g.,dangerous chemicals we breathe, eat, or absorb) that pose a threat to our cellular health and can cause cancer and disease. Organic sulfur helps heal old scar tissue, stretch marks, and fibroids for the same reason it drastically improves the health of your skin. Oxygenated cells are better able to repair damage to cells and multiply and regenerate with healthy cells. Sulfur is sometimes referred to as “the beauty mineral.” And when you consider that the skin or epidermis is actually an organ made up of millions of cells, that makes sense. Skin cells that don’t get enough oxygen are dull, susceptible to damage, and lose their elasticity. Change that dynamic by infusing your skin cells with oxygen, and the result is beautiful, healthy, supple skin–with fewer wrinkles! Unlike healthy cells, cancer cells don’t need oxygen to function properly. Infusing healthy cells with oxygen can mobilize a more effective immune response while slowing tumor growth and even killing cancer cells. Studies have documented that organic sulfur can fight cancer (including breast cancer,4 bladder cancer,5 and liver cancer6) by reducing tumor size — without the side effects of chemotherapy. Organic sulfur has also been documented to help the body scavenge for free radicals and lower oxidative stress7 through better glutathione production. The health benefits of sulfur include an improved complexion. 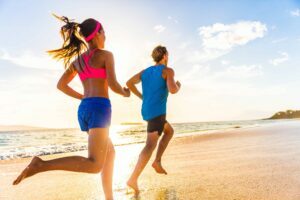 An ongoing, large-scale study of organic sulfur3 showed that sulfur can have incredible benefits for cardiovascular health. The study documented that 54 patients with scheduled open-heart surgery canceled those procedures when their EKGs displayed healthy results after only 6 weeks. How? Organic sulfur helps blood cells repair and regenerate, breaks down plaque deposits, and eliminates scar tissue. Organic sulfur can help with a number of digestive problems.9 Sulphur helps the cells in the gut lining regenerate quickly, which puts a stop to food particles “leaking” out into the bloodstream, triggering an immune response and inflammation. Sulphur also reduces inflammation and swelling in the intestines, esophagus, soothing GERD and IBS. While there aren’t yet any studies to document sulfur’s benefits for Crohn’s disease or ulcerative colitis, there’s a great deal of anecdotal evidence! Organic sulphur has been clinically proven to significantly improve pain, bleeding, and swelling from hemorrhoids,10 especially when taken with tea tree oil. Clinical trials show a great deal of promise for inflammatory joint disorders. One 12-week trial12 showed that, compared with placebo, organic sulfur was effective in bringing down pain and swelling, while improving range of motion. Organic sulfur helps cells get back to functioning normal–which means more collagen, less inflammation, and less painful fluid buildup. Organic sulfur is one of the best ways to make your hair stronger, thicker, shinier, and vibrant in color (you may be able to say goodbye to gray hair!). And if you suffer from alopecia or hair loss, sulfur can be the key to reversing the condition. Sulfur helps struggling, unhealthy cells start producing keratin, collagen, and pigment again–three things that are absolutely vital to healthy hair. 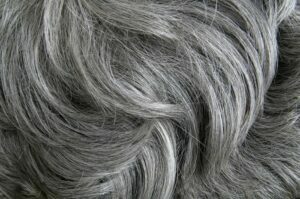 A healthy amount of sulfur in your body can preserve your hair’s pigment as you age. Organic sulfur can make a big difference in your oral health. By taking an organic sulfur supplement, and adding sulfur to your toothpaste or powder, you can cut down on the buildup of plaque and prevent gingivitis, halitosis, and oral cancers as cells in the mouth regenerate and flush out toxins. Respiratory disorders like asthma and allergies happen when the airways become constricted and inflamed. Organic sulfur helps lower that inflammation, reduces fluid retention, and lowers swelling in the airways and lungs. Cells that have access to enough oxygen are cells that can make the right amount of insulin. Studies show that organic sulfur improves metabolic disorders leading to obesity13 by regulating insulin production, as well as helping cells break down and use sugar and carbohydrates more effectively. Bone loss and brittleness is one of the leading causes of breaks, fractures, and tissue loss–especially in aging women. Organic sulfur helps cells in the blood, bone, and marrow produce and regenerate healthy tissue,14 to avoid bone fragility. While organic sulfur has not been officially studied in relation to endometriosis, the anecdotal evidence is strong. Organic sulfur can help women who suffer from endometriosis (scar tissue and inflammation that builds up in the uterus) by lowering inflammation, speeding up production of healthy cells, and flushing out toxins and dead cells. Because organic sulfur lowers oxidative stress, it can help muscles recover from injury and stress more quickly.15 Studies show that a mere 10 days of supplementing with organic sulfur16 can make a big difference in muscle repair and pain management. Organic sulfur is incredibly beneficial for mood disorders like depression, PMS, ADHD, ADD, and seasonal affective disorder. Sulphur helps stabilize mood by improving gut health (where the majority of serotonin and dopamine are produced!17) and by helping the body produce glutathione18 (a powerful antioxidant that’s critical to mental stability) more readily. One ongoing study of organic sulfur3 showed that many participants were able to stop taking Ritalin or antidepressants within days of supplementing with organic sulfur. As the only organ in the body capable of fully regenerating itself, the liver can be completely transformed with organic sulfur. As healthy, oxygenated cells regenerate and replace damaged cells, while lowering oxidative stress, the liver can begin functioning properly again. An ongoing, large-scale study of organic sulfur3 is showing promise for glaucoma sufferers, by reducing the swelling and pressure on the inner eye as well as helping the eye drain properly. While many medications and drops make it difficult for patients to read or drive, organic sulfur has none of these side effects. General unwellness, fatigue, and depressed mood as the cells in your vital organs struggle to get enough oxygen. A wide array of diseases and disorders including liver disease, cancer, endometriosis, Alzheimer’s disease, obesity, heart disease, and autoimmune disorders. 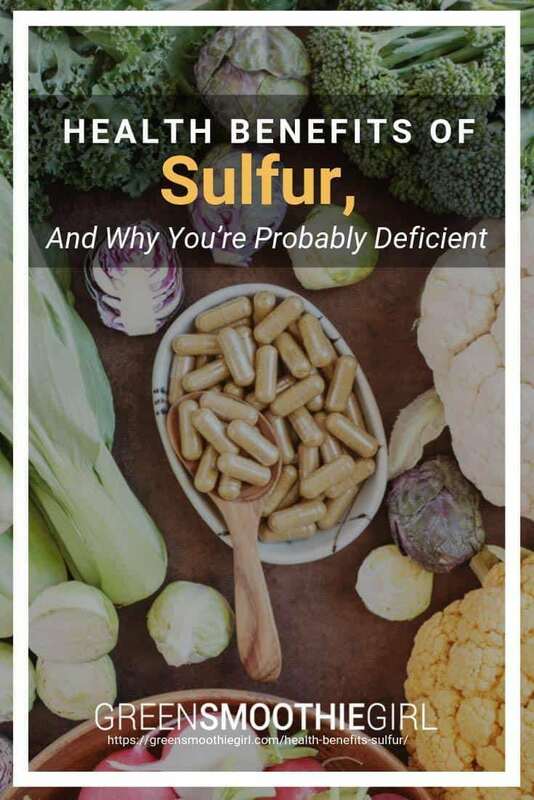 Thankfully, sulfur is not only one of the most important deficiencies you can address — it’s also the easiest. 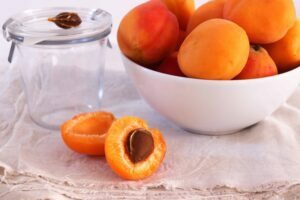 Apricots are one of the foods that give you a boost of organic sulfur. Here’s the thing: Sulfur is supposed to be present in many of the foods we eat. Plants use this crucial mineral to make chlorophyll and for photosynthesis. Unfortunately, unless the sulfur-rich fruits, nuts, and vegetables you eat are 100% organic and unprocessed, you’re very likely deficient in sulfur–thanks to pesticides, fertilizers, depleted soil, and heavy processing. 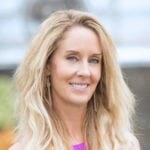 While it’s true that meat, eggs, seafood, and poultry do contain high levels of sulfur, many people (including myself) choose to avoid animal products because of their high levels of endocrine disruptors (like dioxins), that wreak havoc on your hormone levels and organs (among other reasons to eat 98%+ plant-based). So, if you can’t eat 100% organic (either because of financial constraints or availability), how can you get enough organic sulfur in your diet? Let’s talk supplementation. There’s really no way around it: Most of us should be supplementing with organic sulfur. Even if you eat a 100% organic, primarily raw vegan diet, there’s no guarantee regarding how much sulfur you’re actually getting, as a result of mass-farming practices that deplete the soil. What Kind of MSM Supplement Is Best? How Much Organic Sulfur Should I Take? Like many supplements, the FDA hasn’t established a dietary recommendation for sulfur. Remember, organic sulfur is nontoxic and won’t harm you. Your dosage will depend a lot on your health. Cancer protocols using sulfur as a treatment19 call for a much higher dose, while most naturopaths and functional medicine providers recommend about 3-6 grams per day, split up into 2 or 3 doses. Most people dissolve organic sulfur in a glass of water or juice, and drink it two or three times per day. The crystals can be difficult to dissolve, so you may want to heat your water first! What Does Organic Sulfur Taste Like? The answer to this question depends on your taste buds! Organic sulfur is highly alkaline–meaning is can have a bitter taste. Whether or not MSM tastes bitter to you, will depend on your taste receptors/how strongly you perceive bitter substances. For some people, MSM is completely tasteless. For others, MSM tastes very bitter and can be difficult to swallow! I swallow bitters every day before a meal, because it stimulates healthy bile production (super important for liver health, and your liver is central to your overall health), so you can kill two birds with one stone by drinking your MSM in water 15-30 minutes before each meal. How Can I Mask the Bitter Taste of Organic Sulfur? If MSM tastes bitter to you, don’t despair. You can try mixing in a little stevia or organic juice to mask the bitter taste with something sweet. Or, alternately, you can purchase empty, vegan capsules to fill with MSM yourself. A more convenient option is to find the crystals already prefilled in capsules. Can Other Supplements Improve the Effectiveness of MSM? Essential fatty acids like Omega 3, in sprouted bioavailable form, can help your body use and absorb sulfur more readily. Taking a complete, organic mineral supplement can likewise help your cells make the most use of this vital mineral. If (like most people!) you’ve always associated sulfur with a stinky, toxic yellow gas that’s better off avoided, it’s time to change that association! Colorless, odorless organic sulfur (MSM) is not only completely non-toxic, but it’s vital to your health and wellbeing. This “miracle mineral” draws oxygen out of the air and water you consume, transporting it across the cell membranes in your skin, bloodstream, and organs to flush out waste and toxins, improve cell function, scavenge for free radicals, and repair damage. The result is beautiful skin and hair, healthier vital organs, and reduced inflammation. Because of soil depletion and mass use of chemical pesticides, most of us don’t get nearly enough organic sulfur from the plants we eat. By supplementing with MSM, you can enjoy all the health benefits of organic sulfur, ranging from improved acne to avoiding Alzheimer’s. Read next: What Does Organic Mean? Should I Pay More for It or Not? Alcorn, Chauncey. “Here’s Where America Ranks Among the Healthiest Countries,” Fortune, Sept. 22, 2016. Nimni ME, Han B, Cordoba F. Are we getting enough sulfur in our diet? Nutrition & Metabolism. 2007;4:24. doi:10.1186/1743-7075-4-24. McGean, Patrick, “Early results of an experimental study using organic sulfur,” NaturoDoc. Accessed Oct. 19, 2018. Lim EJ, Hong DY, Park JH, et al. Methylsulfonylmethane Suppresses Breast Cancer Growth by Down-Regulating STAT3 and STAT5b Pathways. Li J, ed. PLoS ONE. 2012;7(4):e33361. doi:10.1371/journal.pone.0033361. Joung YH, Na YM, Yoo YB, Darvin P, Sp N, Kang DY, Kim SY, Kim HS, Choi YH, Lee HK, Park KD, Cho BW, Kim HS, Park JH, Yang YM. “Combination of AG490, a Jak2 inhibitor, and methylsulfonylmethane synergistically suppresses bladder tumor growth via the Jak2/STAT3 pathway.” Int J Oncol. 2014 Mar;44(3):883-95. doi: 10.3892/ijo.2014.2250. Epub 2014 Jan 8. Kim J-H, Shin H-J, Ha H-L, et al. Methylsulfonylmethane suppresses hepatic tumor development through activation of apoptosis. World Journal of Hepatology. 2014;6(2):98-106. doi:10.4254/wjh.v6.i2.98. Yoon Hee Kim, Dae Hwan Kim, Hwan Lim, Doo-Yeon Baek, Hyun-Kyung Shin, Jin-Kyung Kim. “The anti-inflammatory effects of methylsulfonylmethane on lipopolysaccharide-induced inflammatory responses in murine macrophages.” Biol Pharm Bull. 2009 Apr; 32(4): 651–656. “Alzheimer’s Disease: Nutritional Causes, Treatments, and Prevention.” Research on Cellular Nutrition and Trace Mineral Analysis, Accessed Oct. 19, 2018. Brien S, Prescott P, Lewith G. Meta-Analysis of the Related Nutritional Supplements Dimethyl Sulfoxide and Methylsulfonylmethane in the Treatment of Osteoarthritis of the Knee. Evidence-based Complementary and Alternative Medicine : eCAM. 2011;2011:528403. doi:10.1093/ecam/nep045. Butawan M, Benjamin RL, Bloomer RJ. Methylsulfonylmethane: Applications and Safety of a Novel Dietary Supplement. Nutrients. 2017;9(3):290. doi:10.3390/nu9030290. Withee ED, Tippens KM, Dehen R, Tibbitts D, Hanes D, Zwickey H. Effects of Methylsulfonylmethane (MSM) on exercise-induced oxidative stress, muscle damage, and pain following a half-marathon: a double-blind, randomized, placebo-controlled trial. Journal of the International Society of Sports Nutrition. 2017;14:24. doi:10.1186/s12970-017-0181-z. S. Barmaki, S. Bohlooli, F. Khoshkhahesh, B. Nakhostin-Roohi. “Effect of methylsulfonylmethane supplementation on exercise – Induced muscle damage and total antioxidant capacity.” J Sports Med Phys Fitness. 2012 Apr; 52(2): 170–174. Nakhostin-Roohi B, Niknam Z, Vaezi N, Mohammadi S, Bohlooli S. Effect of Single Dose Administration of Methylsulfonylmethane on Oxidative Stress Following Acute Exhaustive Exercise. Iranian Journal of Pharmaceutical Research : IJPR. 2013;12(4):845-853. Kerr, Webster. “Organic Sulfur Protocol for Cancer a Stage III Cancer Treatment,” Cancer Tutor, March 6, 2018. Where can I purchase this crystallized sulphuric? I use the Organic Sulfur OS. They have a website with good tips such as making sure the water you mix it in has no chlorine. I would like to know what brands she recommends also. Hi Leslie, you can get it from Amazon using these links. https://amzn.to/2EyqwMo for the crystals, and https://amzn.to/2GQHvgd for the capsules. Hope this helps. What about "drunken" raisins? There is sulfur in organic raisins, right? My Gma SWEARS by this old time remedy and I have started on this routine also. I think it does help with joint pain. Hi Susan, you can get it from Amazon using these links. I think you need to research the glaucoma information better. First, most glaucoma patients do not have any symptoms, only if pressure is very high which happens in angle closure glaucoma. The article you linked to states that MSM induced (caused) angle closure glaucoma. People believe what you say, so please get your facts correct, all of them. After this, I’m not sure I can believe what you say. Hi Dr. Thewes, thanks for your comment and sharp "eye" for the linked article not being the correct one for the glaucoma section. We have updated to the correct link. I used to put sulfer in my water that I purchased from a Nutritional coach, but do not know where to buy it now. Where can I find this powder? Hi Kimberly, Robyn recommends the MS PURE Brand. How can farms get government grants to get the necessary vitamins and minerals to add to their soil to improve the health benefits of the crops they produce? Doesn’t Pellagrino water have sulfur in it? Hi Tricia, San Pellegrino Mineral Water has sulfate in it. It’s not the same chemical structure as sulfur. Sulfur is inert and has all the benefits Robyn mentions in the blog. I was wondering if the sulphur capsules are safe to take when pregnant? Thank you! Hi Stephanie, sulfur products are general recognized as safe by dermatologists during pregnancy especially in topical preparations (like for acne). However, for oral preparations, I would refer you back to your practitioner for a final recommendation. Thanks so much for this article. 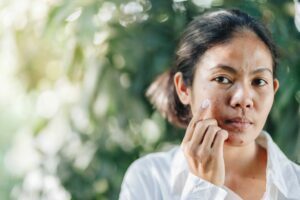 I had such bad skin reactions and tried everything. I do mean everything but the only thing that cured me was msm lotion. It was amazing. What had been bothering me for three years was almost non existent after a few days of using msm. Not sure what I had but must have been related to not enough sulfur. im going start taking MSM again…thx for this wonderful post! Did I miss something? The main page is printable but the article is not. I prefer not to shop on Amazon for anything. Sorry that many health supporters get a portion of profits when we link through their websites, but I just bring myself to support the owner of Amazon due to the things that he, in turn, supports. I know I’m just 1 little person, but if every 1 little person would do the same, we might make an impact. Gotta start somewhere! Hi Toni, I too like to shop "small" as well whenever possible. Get what you can locally, we get it!! Thanks for sharing. If you are allergic to sulfur in medication would you be allergic to this sulfur? Hi Shirley, sulfur and sulfa are structurally different. Most people who are allergic to sulfa containing medications are not allergic to sulfur. Hope this helps. % organic and I can trust buying it. So please may you tell me your suggestion? I don’t have time to go the farmers market at all the different spots as most people don’t have time so yes I just gave up on buying her organic and go to the local persian kosher and halal market/butcher that to me has always had the best most fresh to buy my dog’s items to cook with as well as for myself. But i know there is no more such a thing as organic anything in CALI, those days are gone. I recently moved to the south of France, Cannes and even here where I thought 100% there is zero pesticide agriculture in France and heavily had researched (or so i thought), to make sure there are zero GMO’s or Monsato, but sad reality perhaps not monsato here, but definitely practice of pesticides. But of course when I have time to make it to the daily farmers market, I do feel peppier happier than when i don’t have time and go the many commercial grocerty stores that have now opened up everywhere sadly even in the south of france. So I have realized no such safe place except perhaps as many of my friends have mentioned travelling to italy that italy’s food, everything taste 10 times better. And of course Finland and Greece etc. you mentioned above. So my question is where do i buy and trust to buy a reliable source of organic crystal sulfur. Also so i’m persian and i eat a lot garlic and as of late, i completely haven’t and i’ll be honest been super fatiqued and tired and been dealing w/ some health issues and at 43 my body was given out and having 1 week out of the whole month break from my period symptoms etc and recently discovered fibroids in my uterus. So for examples hadn’t been eating garlic for about a month, then bought like indian garlic naann heavily laced with fresh raw garlic and as soon as I started to eat it, my breath and pardon the tmi (flatulence) smells like sulfur egg which freaked me out because my apartment has no gas components in france (stove is electric) besides my wall water heaters that go on and off and i’m not sure if they’re fueled by water or electricity, i have zero ac or heating hvac componetns or wall heat/ac componetns and i’m freaking out about this egg smell that since i’ve been eating the garlic naan brad only seems to bring about the egg smell after i’ve eaten it. So are sulfur crystals and all foods you mentioned full of good sulfur naturally cause a side effect of egg smell? i’m sorry for my spellings or run on sentences, and also one other thing being on my period at the moment and eating garlic naan could that have something to do w/ egg smell in my breath?? and i’ve also been hacing potatoes w/ turmeric and cayenne and grains and lentils. i’m just trying to figure out because i’m a bit freaked out w/ my recent fibroid news if there’s something in my apartment like in the plumbing causing sewer gases as i hadn’t smelled this sulfur smell before or if it’s spefici to the garlic. Anyways, I truly do hope you’ll answer and again i’m beyond grateful for your article and already made a list to start buying. oh and lastly i was told mushrooms are a moldy food that take away oxygen and as well as peanuts and that almonds have too much arsenic, may you elbaorate because i love all those nuts and foods so i’m just spinning at times with all the conflicting articles out there. especially because many articles said to eat eggs and any foods filled w/ as much vitamin D which most firbroid growth women deeply lack.? Thank you again! Maryam Pashmforoosh sending you love all the way from CAnnes, France. Hi Maryam, thank you for reaching out to us. I went to Cannes France when I was 21 and I loved it. It was gorgeous! You are so lucky to be there. I know France may not be perfect (not sure if there are too many untouched perfect places in this world anymore) but they are on the news quite often about being proactive to help their citizens stay healthy. Things like banning the use of Monsanto’s glyphosate, banning the use of certain EMF producing devices in schools etc. I commend them for that. As far as an organic sulfur compound, Robyn recommends this brand in capsules https://amzn.to/2GQHvgd and powder https://amzn.to/2EyqwMo. As far as the egg smell on your breath…are you eating a ketogenic diet? Doesn’t sound like you are but sometimes this may cause fowl breath. Garlic itself as well as cabbage, broccoli and asparagus can also product smelly gas. Try a good quality probiotic and digestive enzymes. Also, make sure you are consuming lots of water and lots of green leafy veggies to help digest any animal products you may be consuming. If you have further concerns, you can consult a functional medicine doctor if they have one near you for guidance. Best of luck for optimal health!